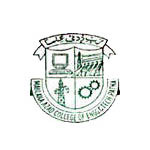 Maulana Azad College of Engineering and Technology is private, self-financing, muslims minority and co-educational institute. College was established in the year 1988 by Millat Educational Society. College is affiliated to Magadh University and approved by AICTE- All India Council of Technical Education. Maulana Azad College of Engineering and Technology is situated at Neora post in Patna district of Bihar. college is 20 km from Patna railway station and 16 km from Jai Prakash Narayan International Airport. The city office of college is situated in Anisabad. Campus spread over 18.45 acres of developed land. the campus has total 360 seats for admission in B.Tech degree courses from all departments as the annual intake capacity of the students. The College has comprised with all necessary academic and campus facilities like, laboratories & workshop, separate hostel for boys and girls, library, computer centre, spacious and ventilated classrooms, canteen, playground, ATM and transportation. College encourages students to engages themselves in various co-curricular activities beside their academic program.